Synonyms: Agaricus rhodellus, Agaricus rosellus, Agaricus roseus, Mycena rosea, Mycena strobilina. 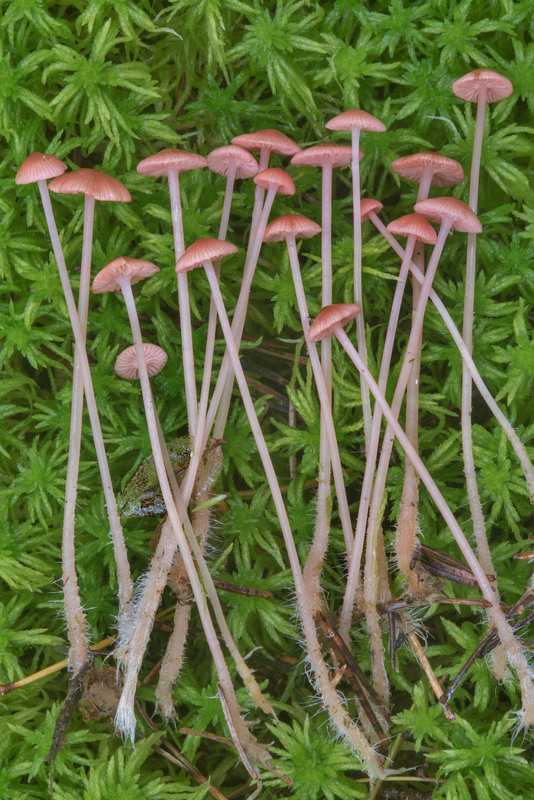 Russian names: Mitsena rozovataya, Mitsena rozovaya. 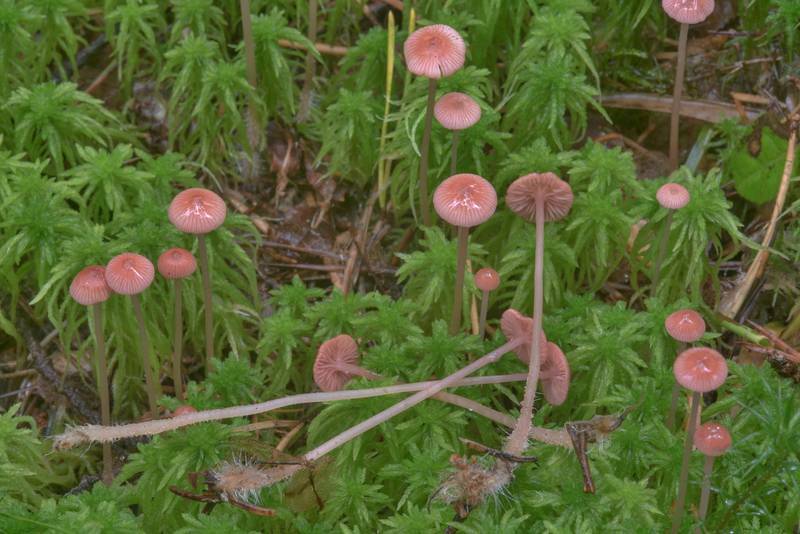 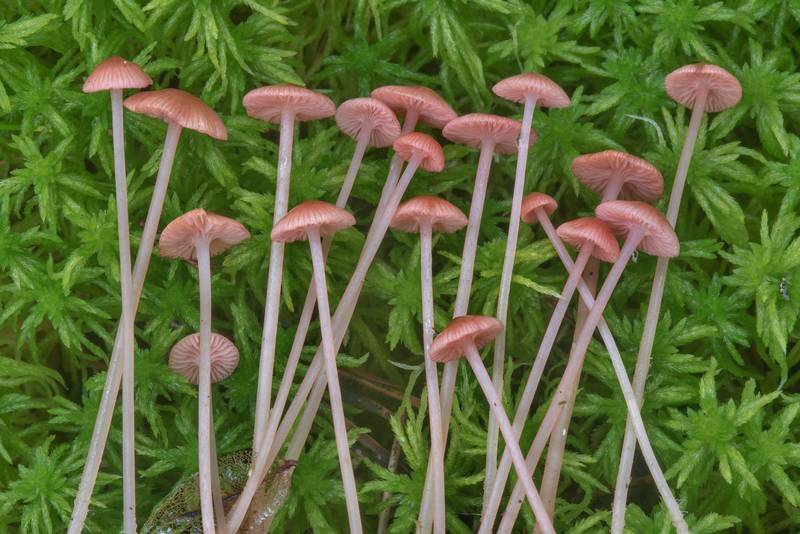 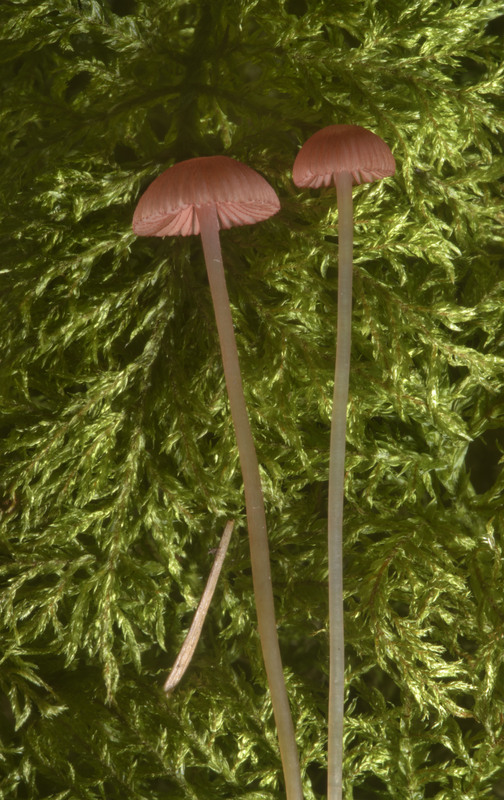 Extract from Wikipedia article: Mycena rosella, commonly known as the pink bonnet, is a species of mushroom in the Mycenaceae family. 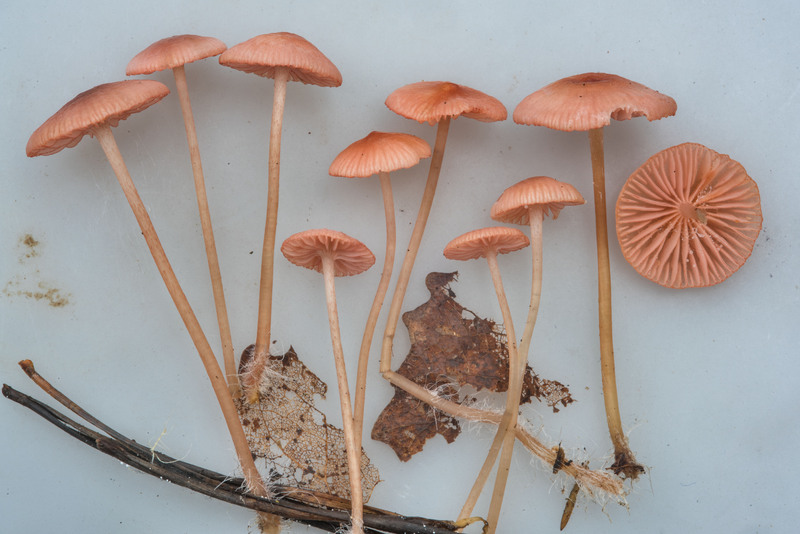 First called Agaricus roseus by Swedish mycologist Elias Magnus Fries in 1794, it was assigned its current name in 1871 by German scientist Paul Kummer. 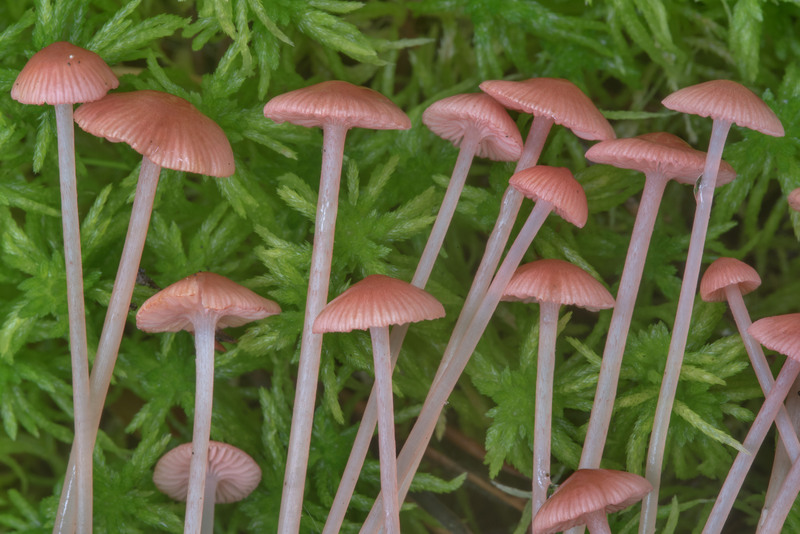 Search of mushroom species for given keywords "Mycena rosella" was done through catalogueoflife.org. Selection of a particular species from the list of 3 species was performed automatically.